The BELIEVE IN US group offers a safe space for individuals who experience Paranoia and Unusual Beliefs. It’s located at the Brent Mind offices in Harlesden as part of its Horizon Service Horizon Leaflet 2016 The group was originally set up in July 2013 by staff member Cornelie Savon (since left) and a number of peer co-facilitators, after training undertaken with the Paranoia & Beliefs Project at Mind in Camden. In the group, individuals can openly express their thoughts and feelings without fear of being judged, and we have since seen the group – and the pool of peer co-facilitators – grow to the point we now hold two groups on Monday and Friday respectively. 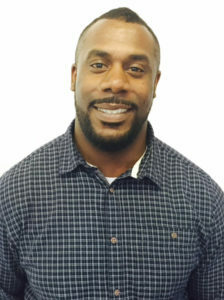 Staff co-facilitator for the group is now Linval Walker: I find both the Believe In Us groups empowering and insightful. 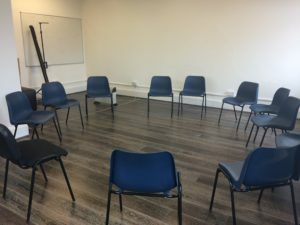 You really get an opportunity to enter the thoughts and feelings of those who attend the group, in an environment which is safe and very supportive. Linval is the Adult Lead for community services at Brent Mind.